NIC Chairman calls for rapid procedures to allocate lands for investment projects to start implementation during meeting with PICs Directors. During heading the fifth periodic meeting for PICs on Tues. 29th June 2010 at NIC HQ, Dr. Sami Al Araji called for speeding up land allocation in all provinces to enable investors to implement projects. He emphasized that land selecting procedure should be obstacles- free and should not interact with other assets such as oil or ruins. Lands allocated for residential units should be close to cities and centers or to choose large areas to build full-services cities. Dr. Araji noted that investment maps in provinces must consider the economic aspects and the privacy in developing investment maps to each province to include projects that meets their requirements in agricultural, industrial, tourism sectors or others. 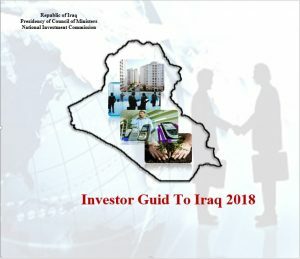 He mentioned the importance of providing all logistics to investors such as visa, protection and residence through coordination with NIC to provide a suitable atmosphere to investors and make investment a successful procedure in Iraq. 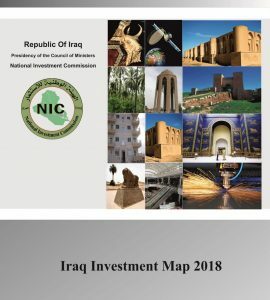 Regarding residential units for Iraqi citizens and official employees within the 1 million unites project adopted by NIC, he said that PICs directors should know the number of people interested in buying those unites in each province to organize the process and ensure they meet requirements. Dr. Sami listened to a number of PICs directors’ proposals and opinions relevant to investment in various sectors in addition to some obstacles which are hindering the establishment of the investment projects and he promised to remove those obstacles.